LaVerne was born May 20, 1934 in Schnellville to Albert and Emma (Schnell) Welp. She married Jim Uebelhor on August 21, 1954 in Schnellville. 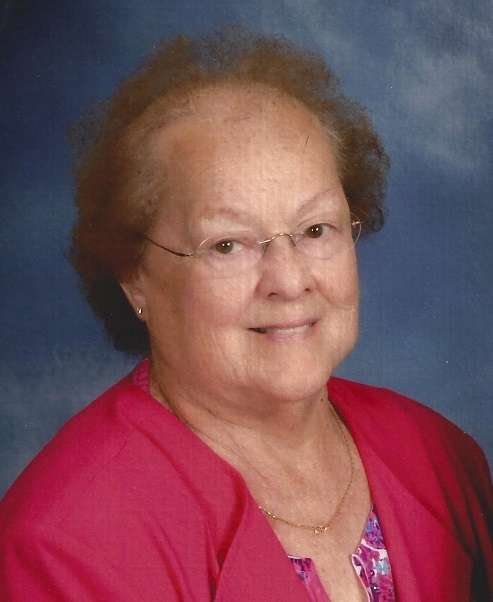 She was a member of Christ the King Parish, St. Ferdinand Church and its St. Ann’s Sodality. LaVerne was employed with General Electric in Tell City before her and her husband Jim formed Uebelhor TV in 1954. She helped Jim grow the family business until retiring in 1990. LaVerne enjoyed good food, good music and many trips to the Corydon Jamboree with friends. Laverne is survived by her husband, Jim of Ferdinand; two sons, Scott (Mary Sue) Uebelhor of St. Anthony and Keith Uebelhor of Ferdinand; one brother, Marvin (Mary Faye) Welp of Schnellville; two sisters, Doris (Bill) Birk of Brownsburg, IN and Mary Catherine Persohn of Jasper; five grandchildren, Kelsey Jones, Morgan, Cory, Cole and Randi Uebelhor; a brother-in –law, Bob Neuhoff of Jasper. LaVerne was preceded in death by sisters, Betty Neuhoff and Irma Hasenour.